A self-driven tour allows for lots of flexibility and spontaneity, but it has occasional drawbacks. One is finding a place to park in the narrow streets of historic city centers. Another is finding your way about them. 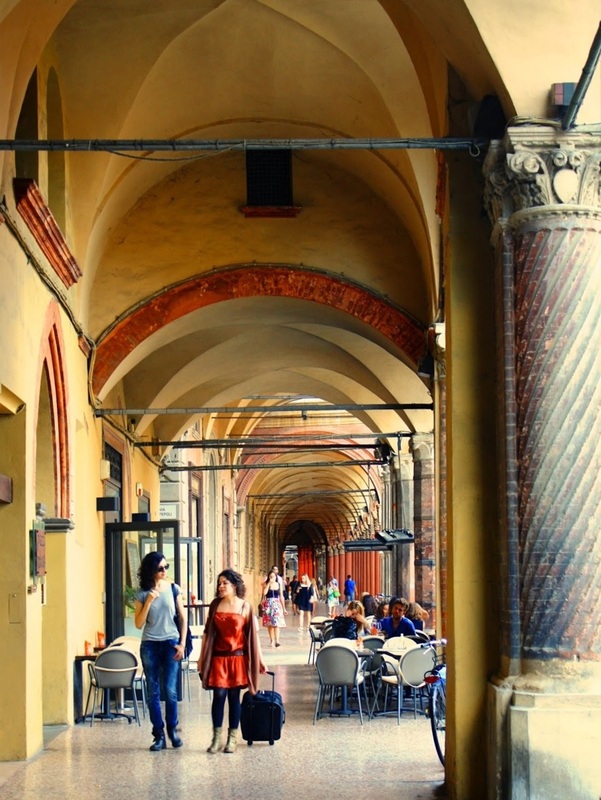 Portico and promenade, Bologna, Italy. 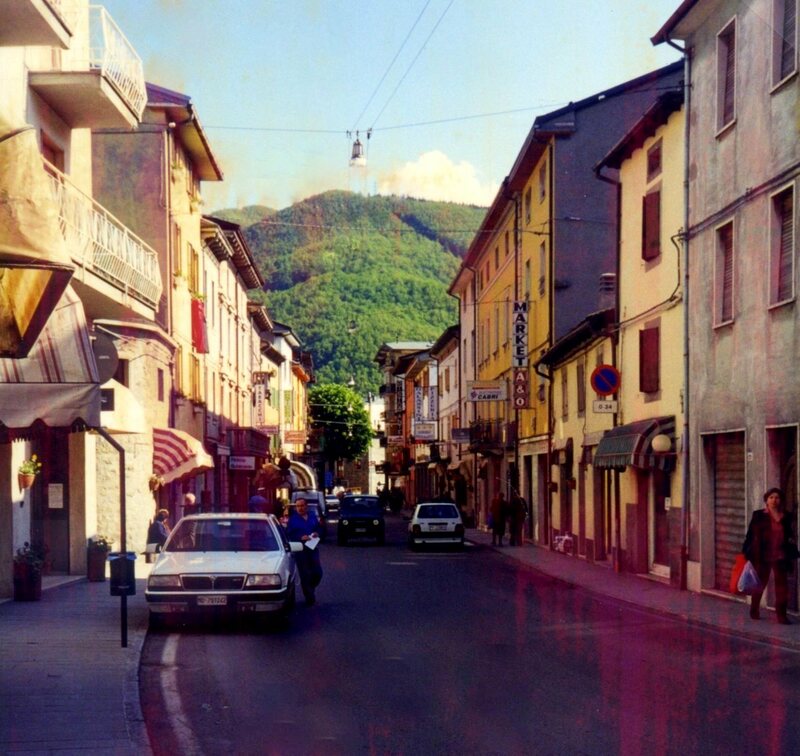 The hotel was easy to find on a map, but challenging to find from behind the wheel of a car. With each turn, the ancient, one-way streets became narrower and narrower. Just when it seemed that they could no longer accommodate a car, a major intersection appeared and the hotel was soon in sight. With much of the afternoon still remaining, there was easily enough daylight remaining for a walk around the city center. 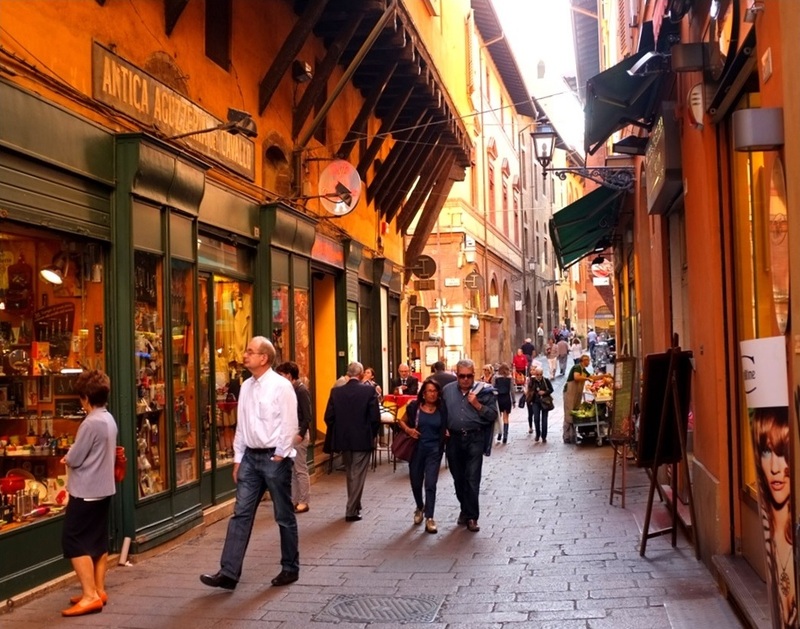 Bologna is ancient, even by Italian standards. More than 3,000 years old, it pre-dates not only the Romans, but also the Etruscans. 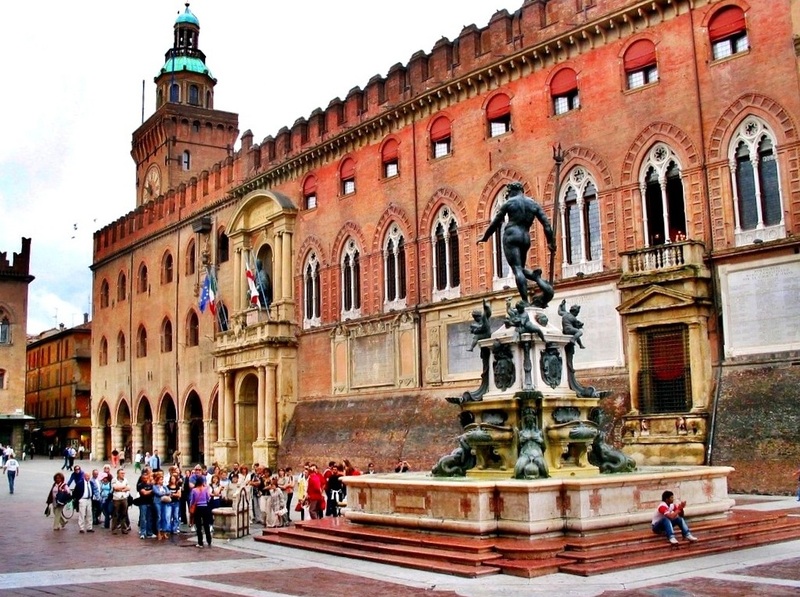 The University of Bologna, founded in 1088, is among Europe oldest universities, and is Italy’s first. 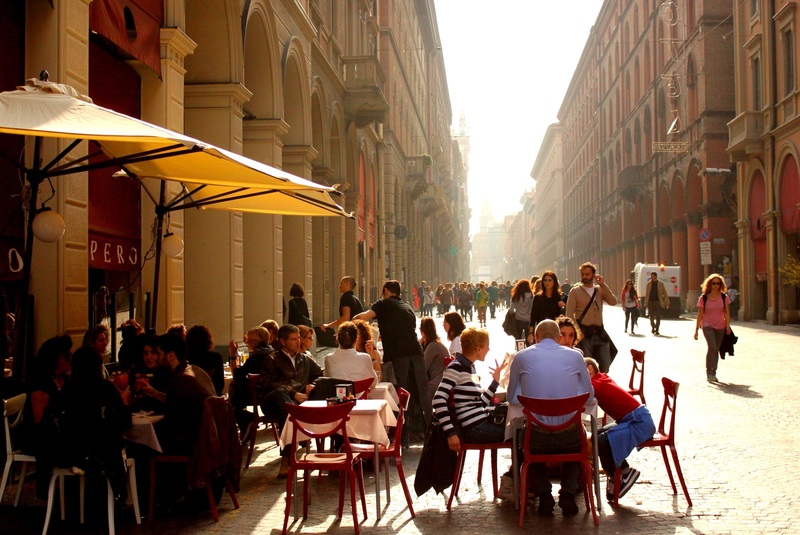 Sidewalk caffè in Bologna, Italy. The old city is expansive and well-preserved, and eminently walkable. There are narrow lanes and porticoed promenades, and the Italian palette is played across the city in ochre and mustard and olive. There’s a sophistication about this place. Posters for art exhibitions, concerts, and theatrical performances appear everywhere, and there’s a sense that the locals are very urbane, if unpretentiously so. 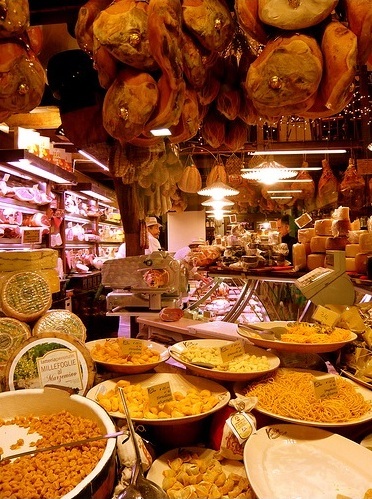 But Bologna is a feast not just for the eyes. 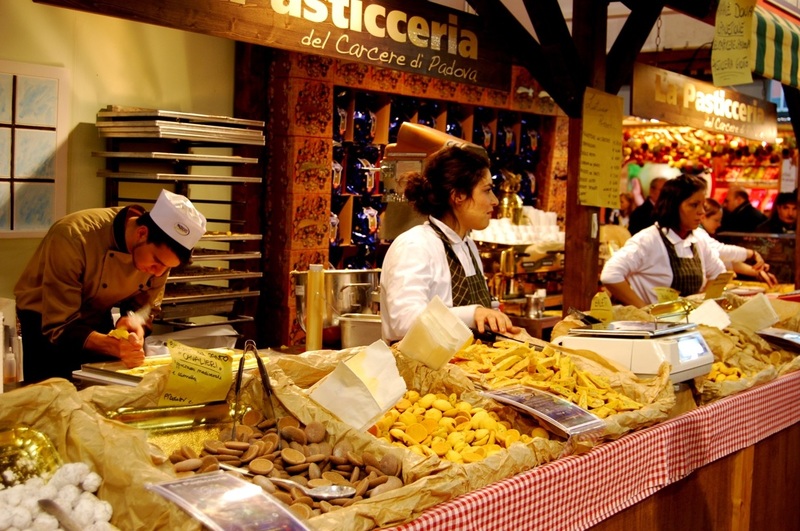 In a nation which takes its food perhaps more seriously than any other, this city is recognized by many as Italy’s gastronomic capital. The reason becomes soon apparent. Arrayed on grocery stands are fruits and vegetables so flawless and colorful that they look like wax. Pasta artisans at work, Bologna, Italy. Foods that account for a single shelf in chain supermarkets are available here in so many varieties that shops are often dedicated to only one. There are those which make and sell only pasta, and those that sell only aged balsamic vinegars made from a staggering array of varietal wines. 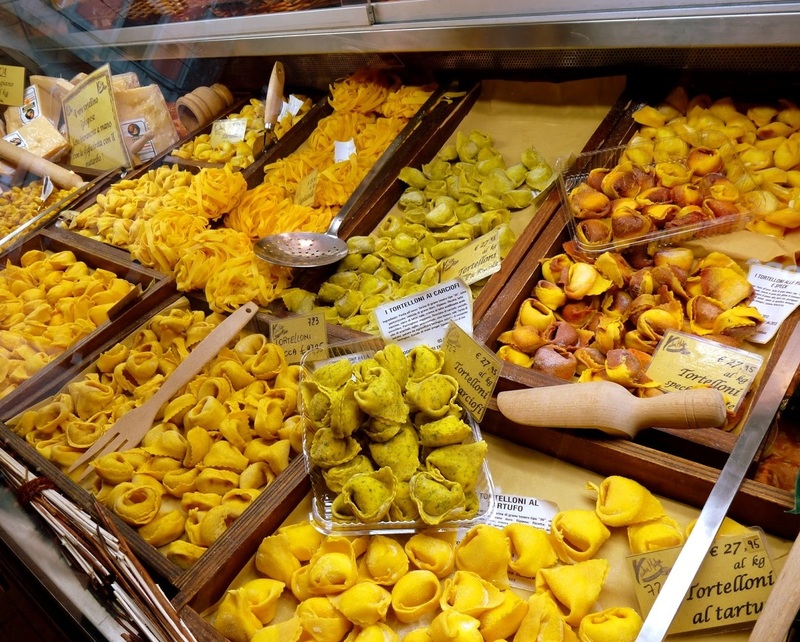 Pasta comes in different shapes, sizes, and colors in Bologna, Italy. Aging hams and cheeses hang in storefront windows and from shop ceilings. Shoppers are so routinely offered a taste by friendly merchants that it’s easy to spoil a dinner appetite. Pacing is the key. The afternoon walk wanders along the Via della Grada past Ristorante Posta. 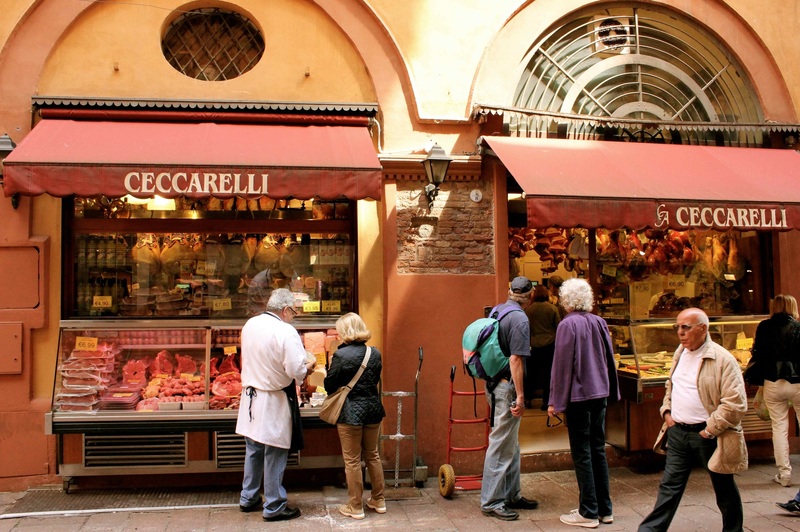 Even though Bologna sits in the heart of the Emilia-Romagna region, the menu here is billed as Cucina Tipica Toscana, and is irresistible. Inside a neighborhood grocery, Cologna, Italy. Ristorante Posta so highly regarded that reservations must be made well in advance. It takes a combination of wheedling, begging and flattery to produce a table early in the evening on the condition that it will be vacated by the time guests with reservations begin arriving. The trade-off proves well worth it, and this spur-of-the-moment meal turns out to be another delightful Plan B. As the restaurant begins to fill, this is an evening destined to end on the streets of the old city with a gelato and an espresso. 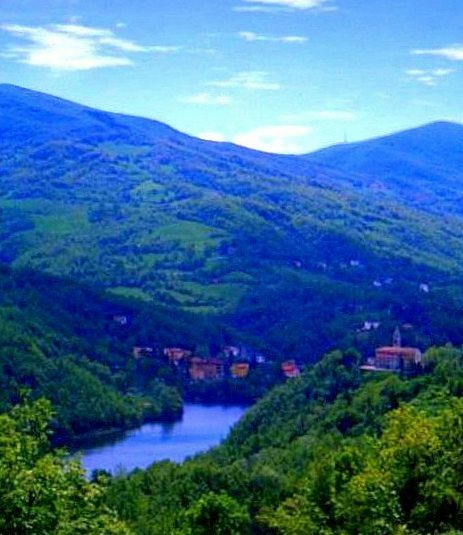 Mountain lake, road from Bologna to Florence, Italy. Bologna begs for a longer visit, but the ten day itinerary calls for check-in at Florence on the next night. The drive there promises to be as memorable as the destination. 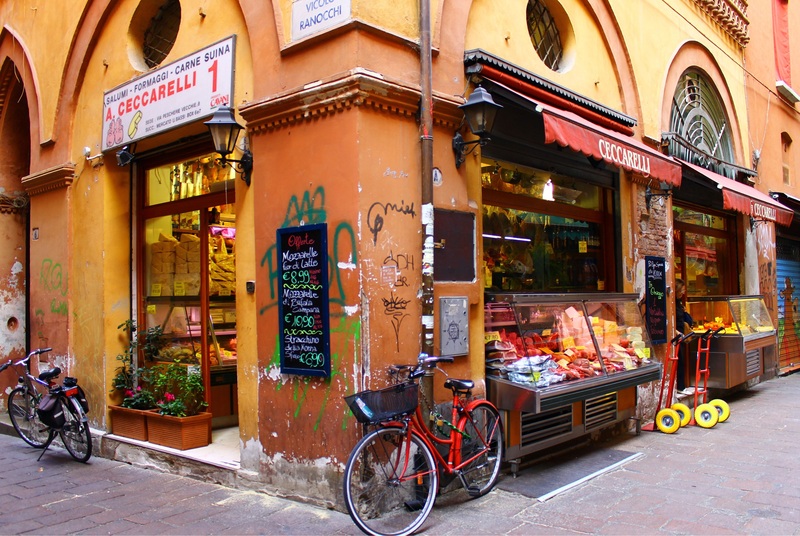 Although Bologna’s altitude is less than 300 feet above sea level, it sits at the edge of Italy’s Apennine Mountains, and the road to Florence passes through them. The climb begins almost immediately, and less than twenty minutes outside the city, the drive begins winding past mountain lakes and through hillside villages that look almost Alpine. Apennine village, road from Bologna to Florence, Italy. Peaks in this part of the mountains reach up to 2,500 feet. Tomorrow’s drive from Bologna to Florence is a bit over 100 kilometers – around 60 miles – which allows for plenty of stops along the way to admire the scenery or grab a bite and drink in one of the villages. There will still be plenty of daylight left by arrival in Florence.